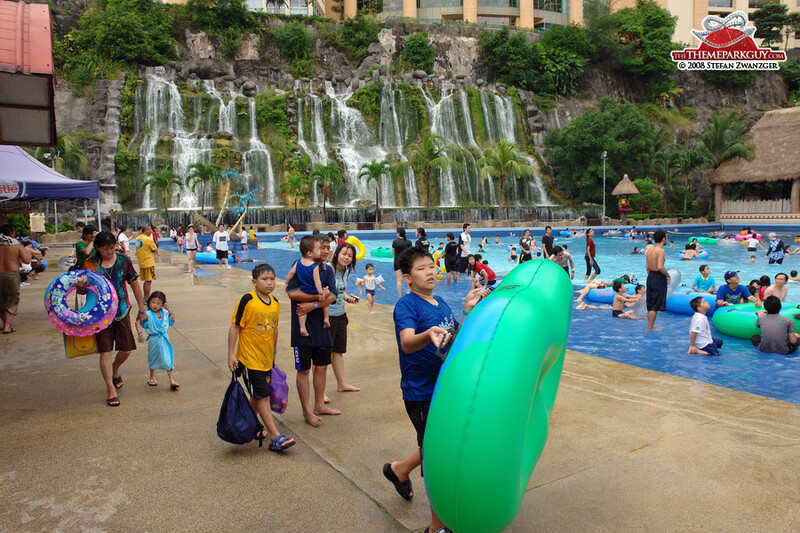 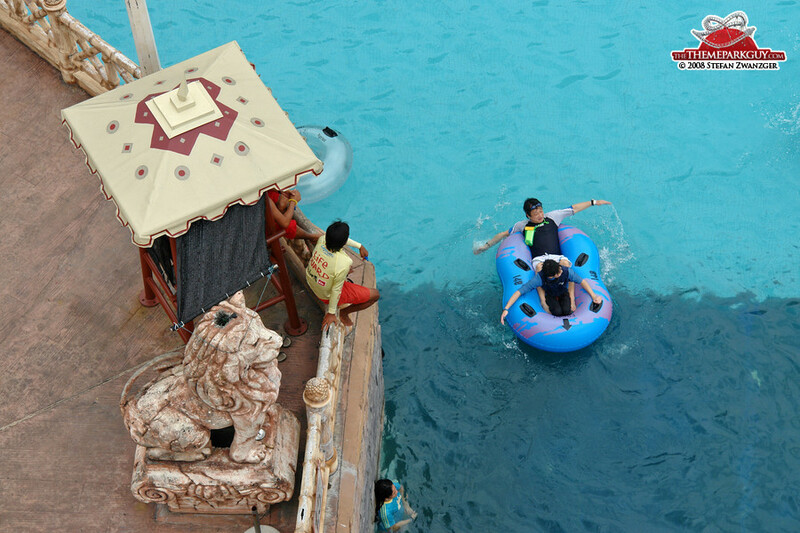 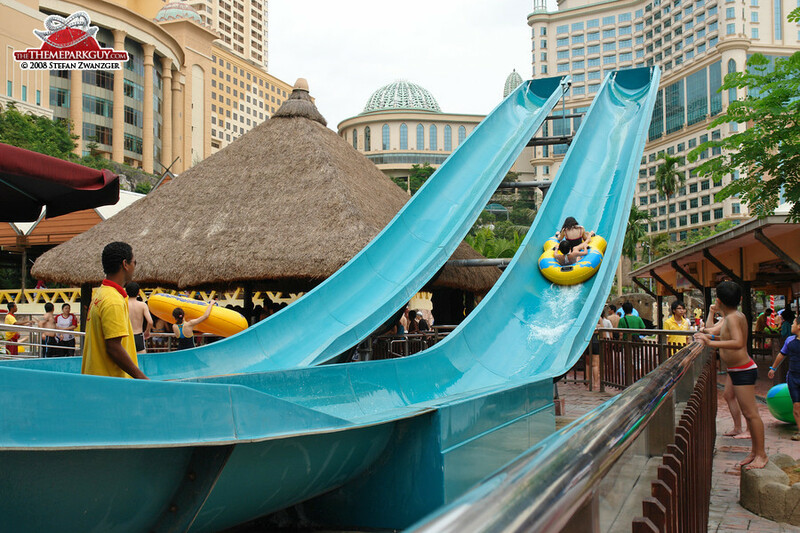 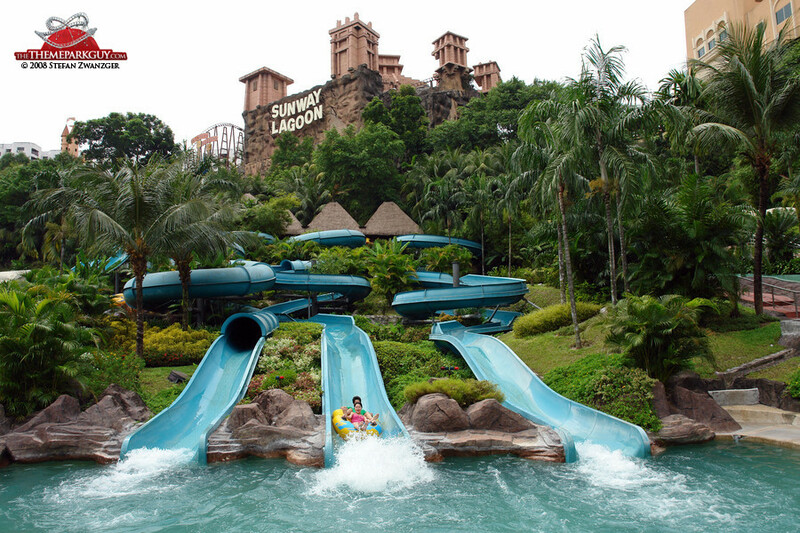 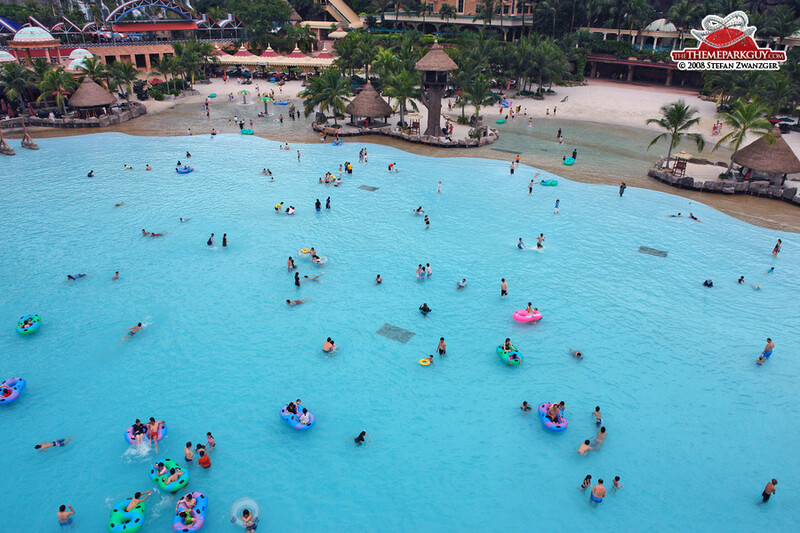 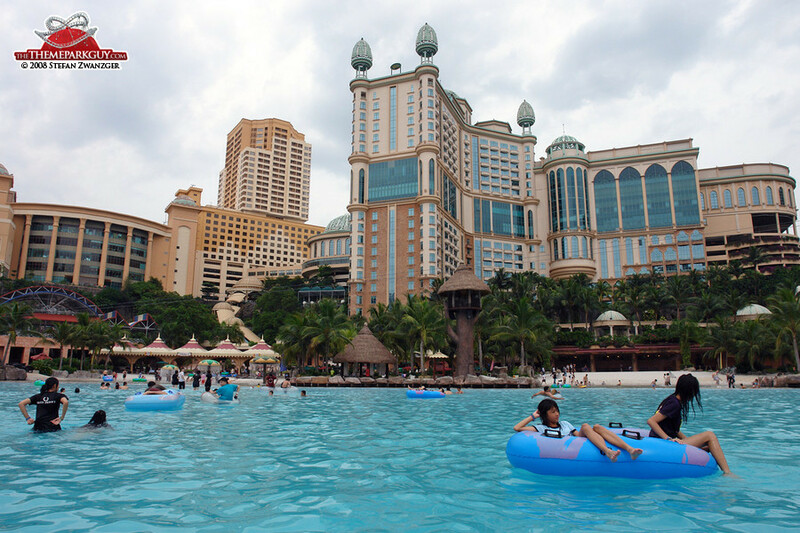 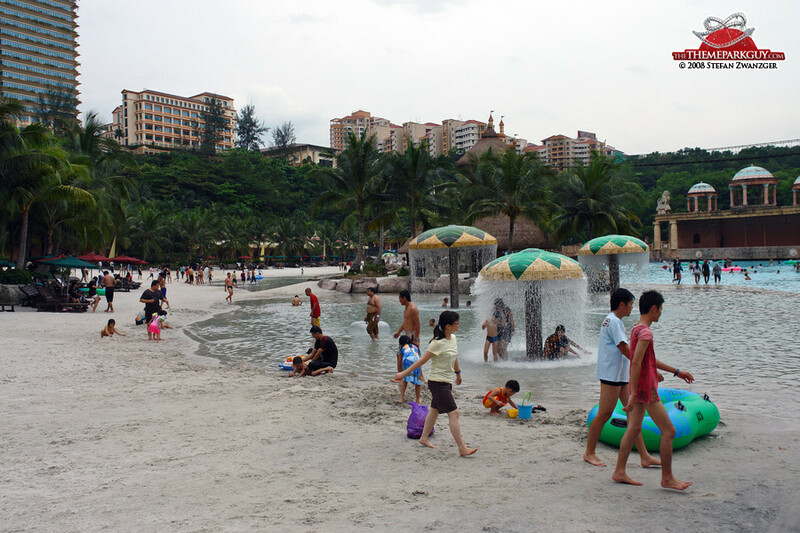 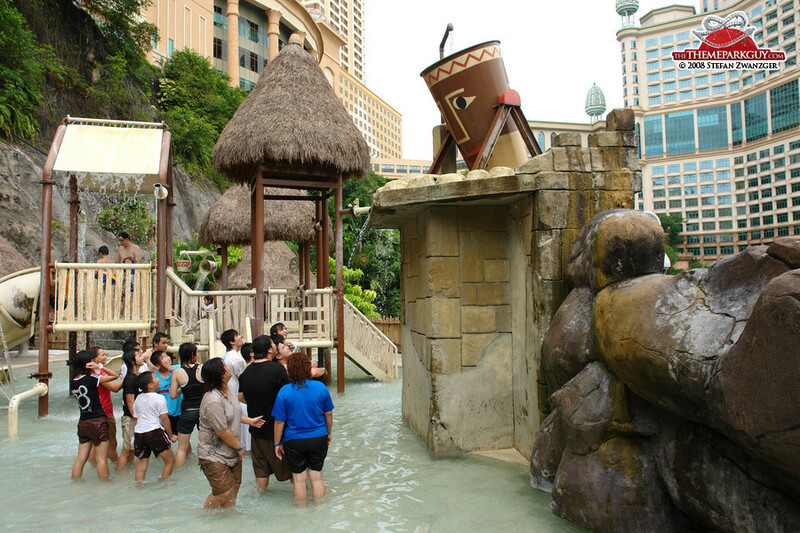 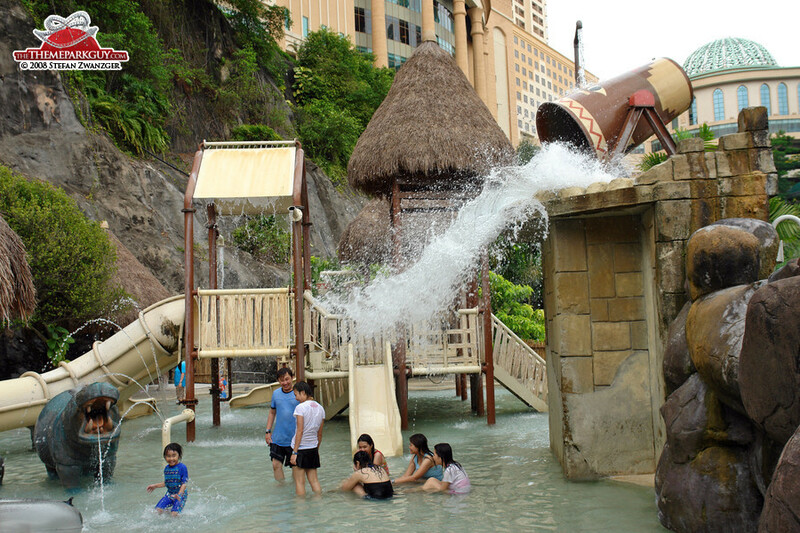 Upon entering Sunway Lagoon in Kuala Lumpur, you will probably find it more impressive than expected. 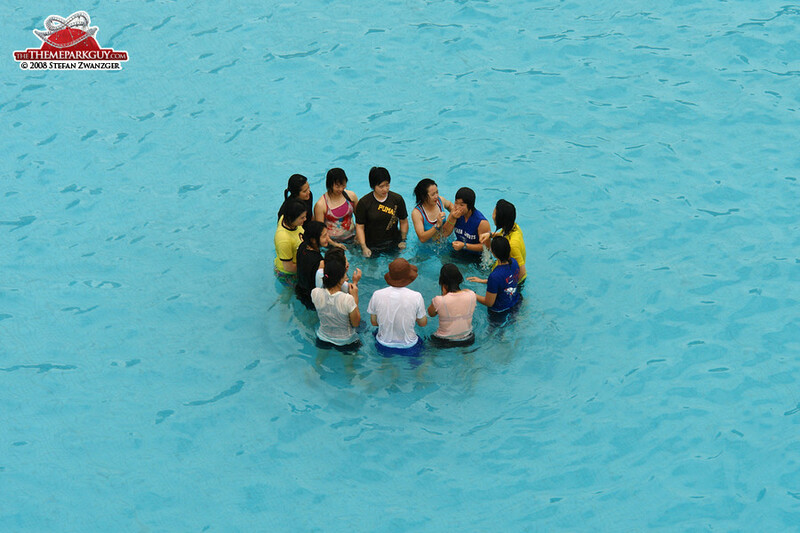 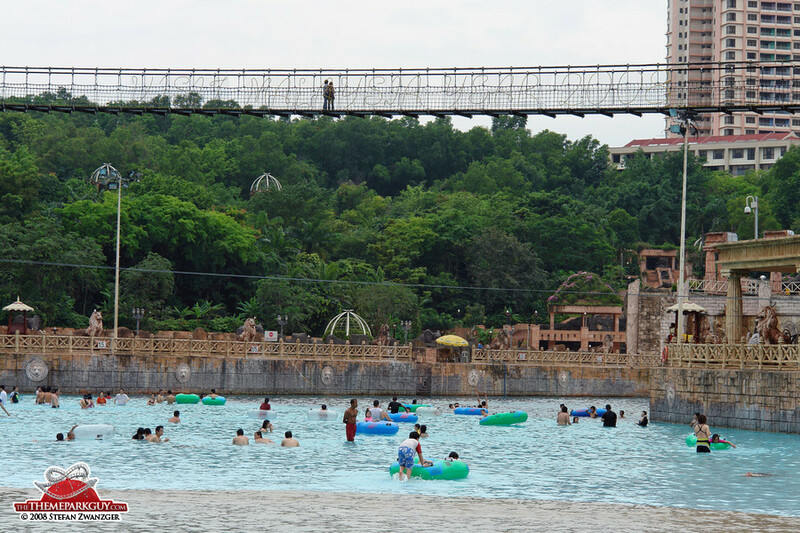 Its theme park sits on a hill overlooking a water park containing a giant wave pool. 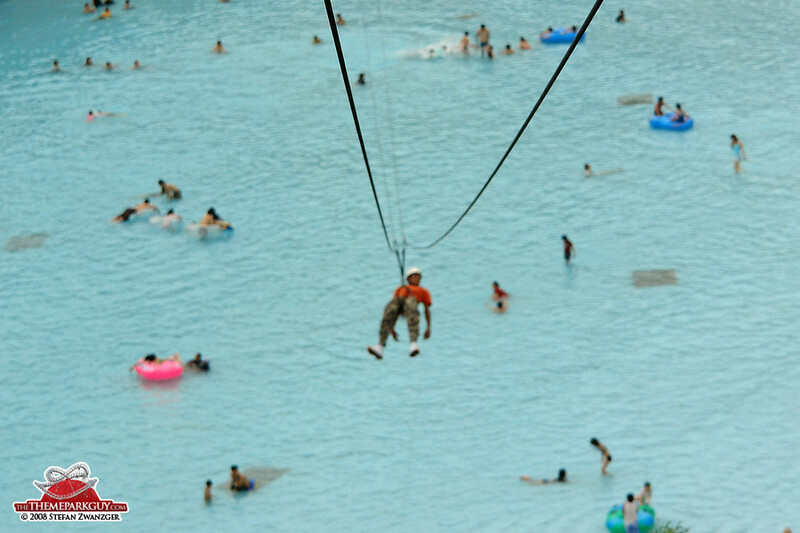 The highlight of the water park is a very, very long suspension bridge traversing the endless pool – amazing to many and scary for some. 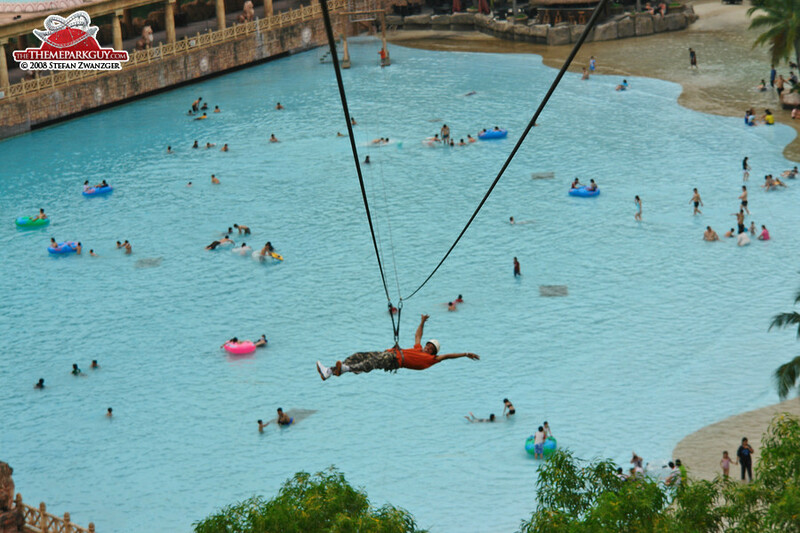 The best and most thrilling thing you can probably do in the park is to pay an extra fee at the outer end of the suspension bridge, get attached to a long zip-line and slide down from the bridge top over the whole length of the pool. 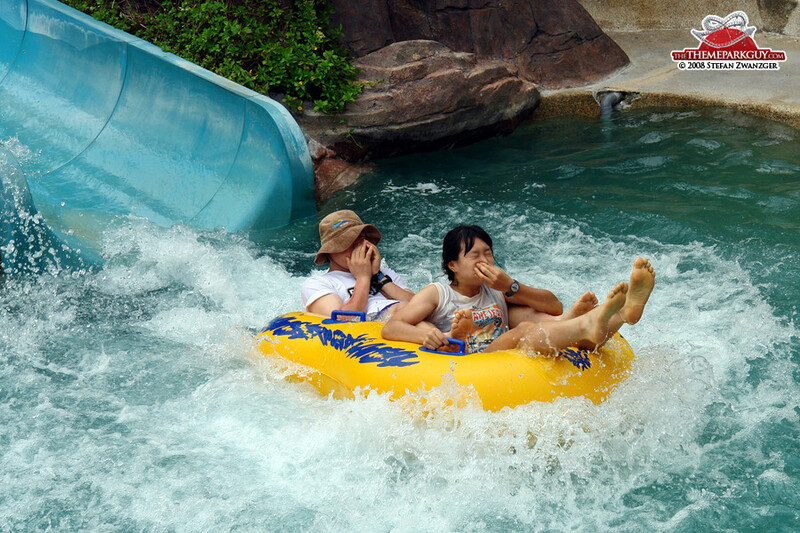 It’s a crazy experience! 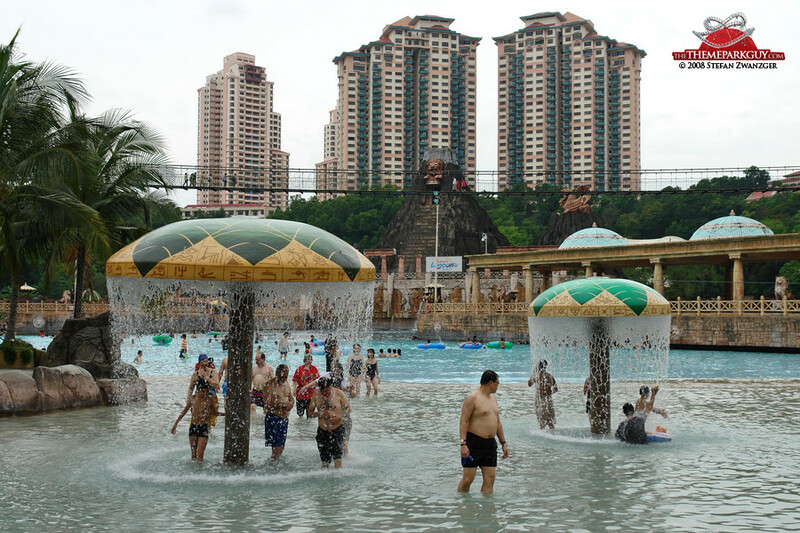 Apart from that, Sunway Lagoon looks a bit dated. 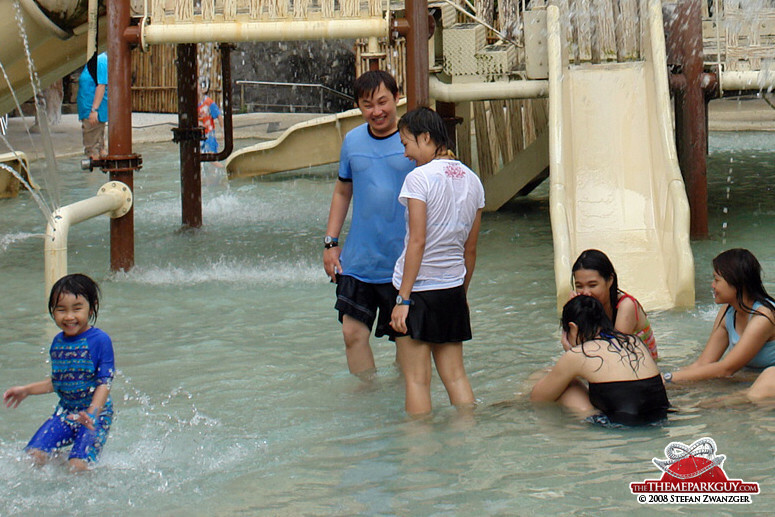 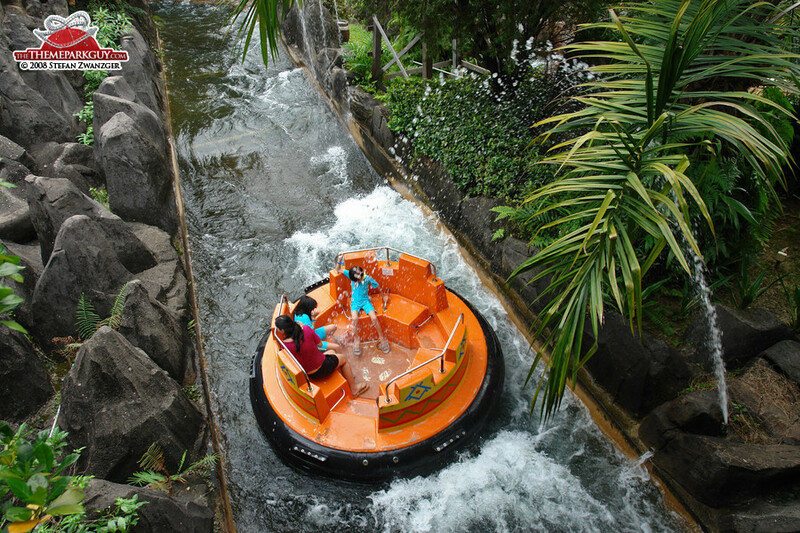 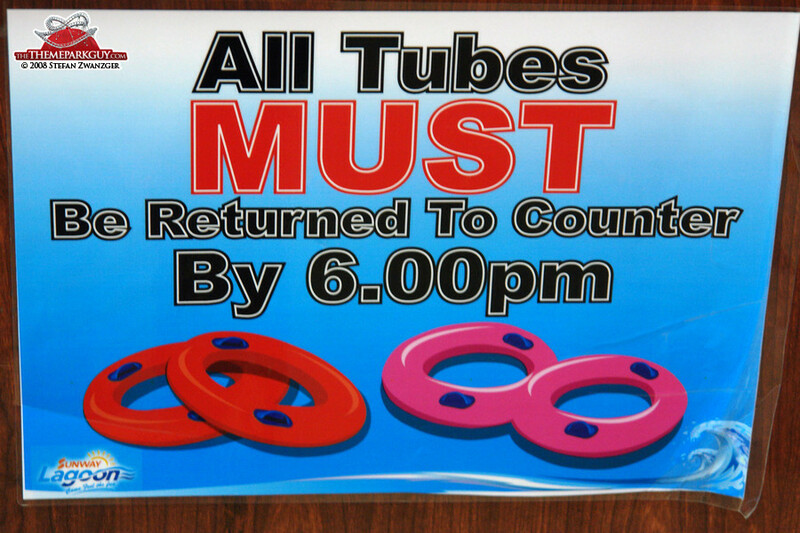 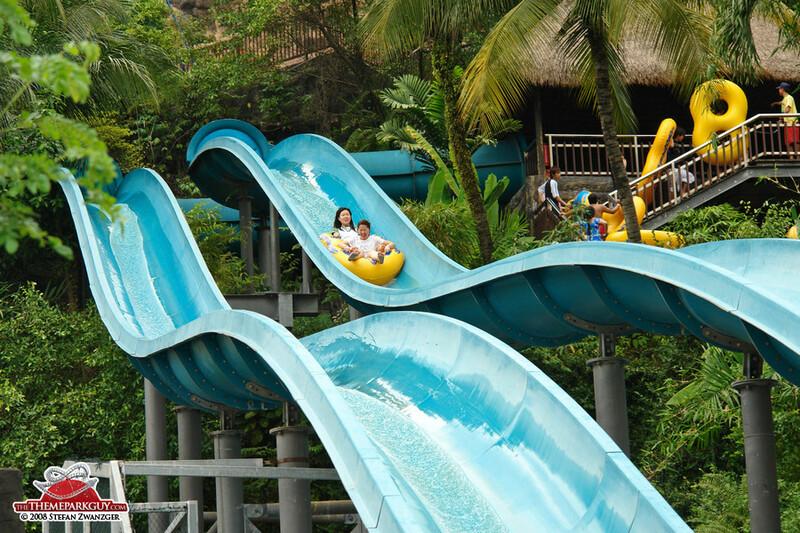 It has all the usual rides: a river rapids ride and a wild west-themed roller coaster in the theme park area; body slides and tube slides in the water park. 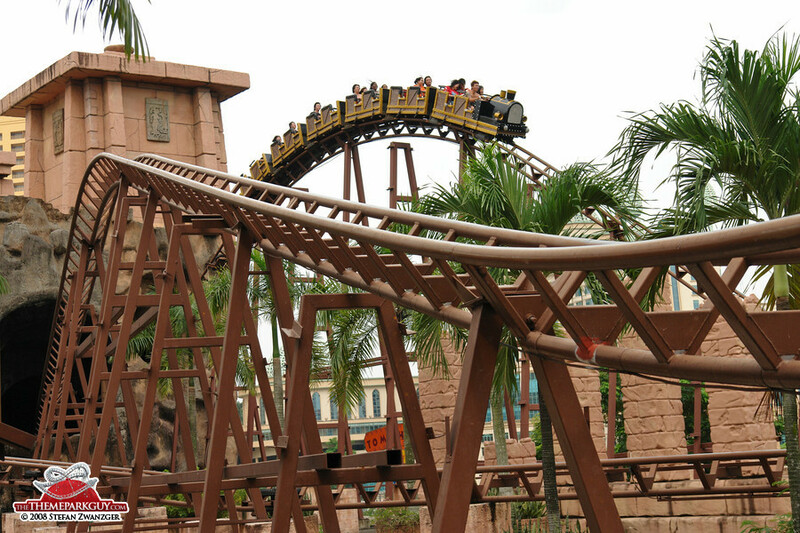 Unfortunately, everything looks a bit run-down and neglected. 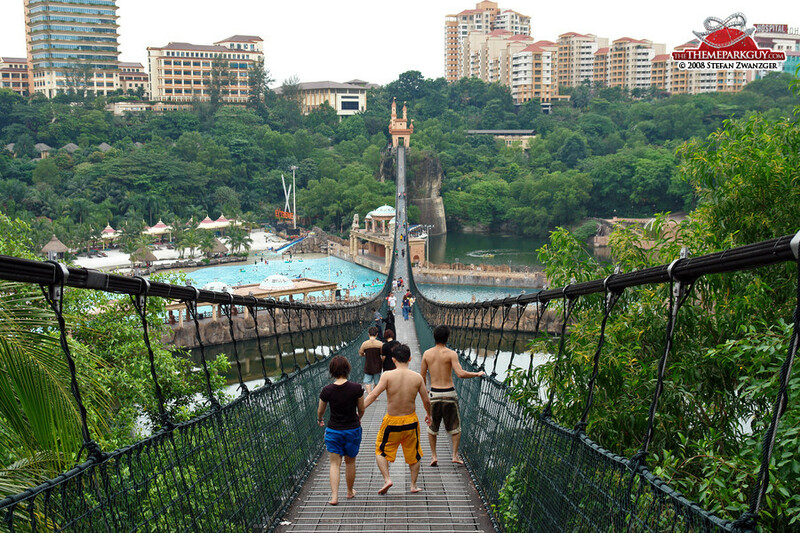 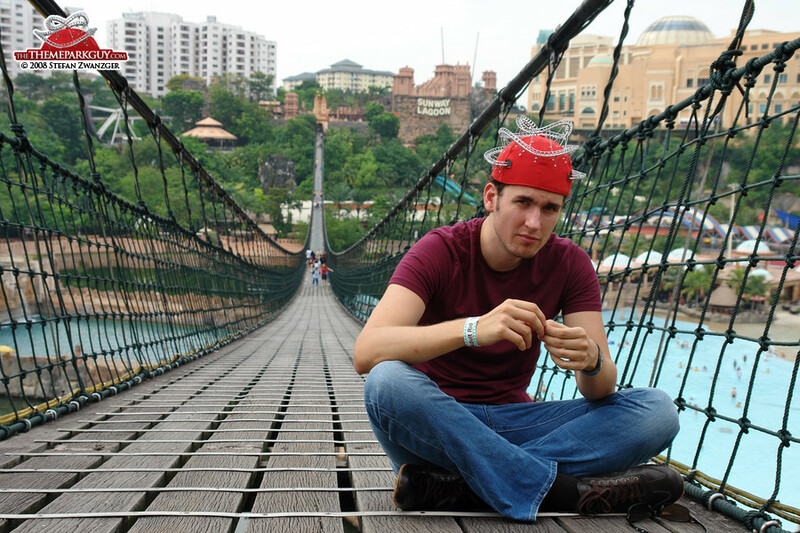 I’ll give it a rating of three hats because it’s the biggest park in Malaysia with a gigantic pool and a phenomenal suspension bridge, but the rest is rather mediocre.